Summer vacation is over for veteran National Hockey League referee Kevin Pollock and he's ready to get to work. He's been through training camp, and he worked two pre-season games last week. But nothing stands between the longtime Guelph resident and the Ontario Minor Hockey Association's annual weekend clinic for new on-ice officials that took place over the weekend at the West End Community Centre. "It's very important for me to give back," said Pollock, who began his own career as a minor hockey player and official in his hometown of Kincardine. "The OMHA has always been near and dear to my heart. "It gave me the base that I needed when I came to Guelph to get into the (Ontario Hockey Association). Nobody can play a hockey game without referees, and we're always looking for new and young referees. The more that can get involved, the stronger our game will be in the long run." Pollock moved to Guelph in 1991 with the intention of building an officiating career of his own, following in the footsteps of his father Clarke Pollock, a well-respected referee of amateur hockey in southwestern Ontario. Kevin Pollock moved up the ranks and made it to the NHL in 2000. He worked his 1,000th NHL game last March and has many other career highlights, including the Sochi Olympics and the 2015 Stanley Cup final. This was the 20th year for the clinic in Guelph. Participants obtained their Level 1 or Level 2 certificates, allowing them to work rep games up to the atom level, as well as peewee house league. The more than 80 budding officials spent six hours on the ice Saturday and Sunday, as well as receiving off-ice instruction. "Our job is not only to teach them the rules and positioning on the ice, it's to give them the skills and ability so they have the confidence to call a hockey game and keep it fair and safe," OMHA instructor Ron Lord said. Pollock said the NHL was happy to allow him to participate when the OMHA first asked him seven years ago. "They always accommodate it," he said. "It's great that the NHL supports it and basically loans me for the weekend." "We are very blessed to have Kevin," Lord said. "It gives a great deal of credibility to what we're trying to teach these kids. 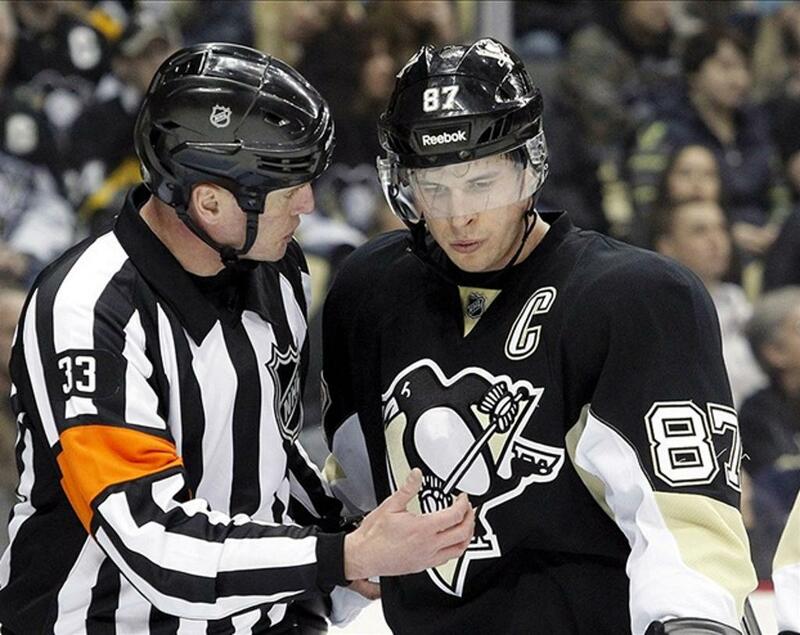 He shows all of the components that it takes to make a career out of officiating." Every year, the clinic chooses one participant who is presented with the Kevin Pollock Most Promising Official Award. The prize includes a signed Pollock game jersey. Pollock notes happily that some of his mentees have moved on to higher levels of hockey. He singled out Shandor Alphonso, an Orangeville native who is now working as a linesman in the NHL and American Hockey League. "I'm proud to have presented him with the award six or seven years ago, and now he's sitting with me in the classroom at NHL training camp and working with me on the ice," Pollock said. "That's a great accomplishment." Elmira's Garrett Rank also came to the NHL through this clinic. Of course, Guelph has been the home base for many officials, among them Andy Van Hellemond, Ron Asselstine, Ray Scapinello, Bill McCreary, and Paul and Greg Devorski, to name just a few. Pollock still lives here with his wife, Karie, a University of Guelph grad and former city police officer, and their two children. "It's turned out to be a great move," he said. "Guelph is such a great community. It's a hotbed for hockey." And now, with his annual commitment fulfilled, it's back to the NHL grind for Pollock. He returns to pre-season action this week with games in Detroit and Toronto. This story was written by Jonathon Jackson and originally appeared in the Guelph Mercury.